Allstate accessories add the finishing touch to our display cases. Add a velvet pad or a set of mounting trays to every case. The professional image of your display will boost your sales. Our flock coated trays have 18, 24, 32, 36 or 50 compartments. 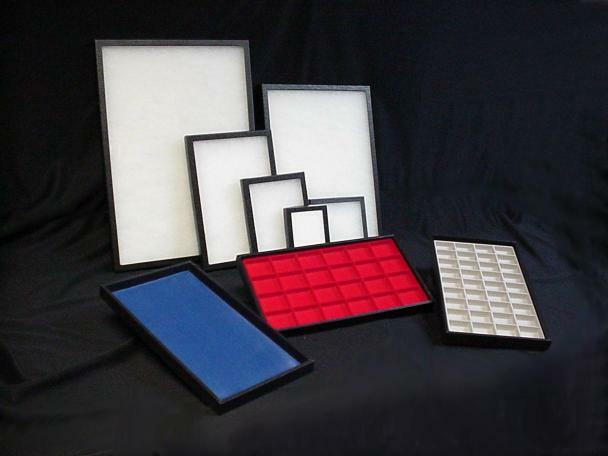 The mounting boxes and trays are sized to fit into our cases for a professional display. Available colors include Black, Red, Royal Blue and Grey. CB-1: Carrying Bag fits model 150, 170, 125 & 175.